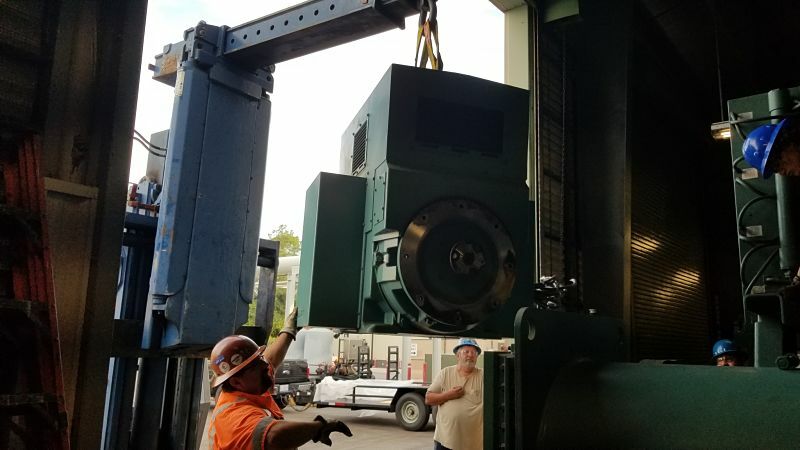 Installation of a 1100HP electric motor on a 2000 Ton York Centrifugal Chiller in Orlando. The chiller’s original motor suffered from bearing fluting and stator damage calling for a rewind repair. Thermetrics is equipped with the expertise and tooling to make any chiller repair in the Central Florida – Orlando area from a large centrifugal chiller to a small process chiller for an MRI system.